Successfully Added Cube X9 Tablet PC - Quad Core CPU, 4G RAM, Android 7.1, 8.9 Inch 2560x1600 Display, USB Type C, Wi-Fi to your Shopping Cart. The Cube X9 tablet PC has a powerful Quad Core CPU and impressive 4GB of RAM so its well equipped for playing the latest games, streaming content or watching movies. The 8.9-inch screen boats 2560x1600 resolutions for crisp details and pin sharp graphics. All this makes the X9 tablet a great choice for games and movie aficionados. You get 64GB of onboard storage on the C9 Tablet PC as the micro SD card slot lets you add a further 128GB of storage should you require. The Android 7.1 OS brings access to a world of games, media, and apps so you will never grow tired with an ever-increasing selection of games and entertainment on hand. 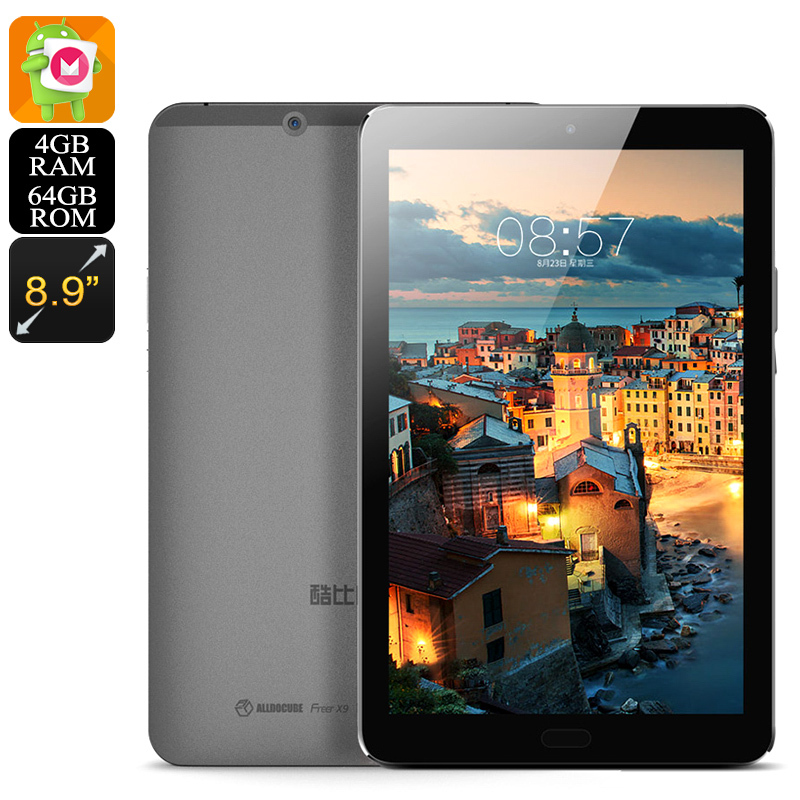 This tablet PC has a good pair of cameras, the front one at 5MP lets you enjoy good quality video calls or snap selfies while the rear 13MP camera is good for snapping those memorable moments and capturing amazing shots. The tablet has a 5500mAh battery that lets you enjoy about 5 hours of continuous usage time. more than enough for your movie or aging fix. With a USB type C port, the tablet PC is quick to recharge at the end of the say as well. The Cube X9 tablet PC comes with 12 months warranty, brought to you by the leader in electronic devices as well as wholesale tablet and mobile gadgets..